It is difficult to believe it has been nearly four months since the start of the basketball season. I have no idea how many basketball games I have attended at all levels of play, but at this point it is well over 100 – and counting. The boys head into the final week of its regular season and the girls have one Howard County team left as Western plays in the Class 3A Final Four for the second time in three years. Add in great girls runs for Tipton and Logansport – both of which are close-by and still alive and kicking in the Final Four – and local fans have had a banner year for hoops. But the season hasn’t always been smooth, especially with the crazy winter Indiana has had. Local athletic directors have had to reschedule and sometimes re-reschedule games almost weekly since the 17-inch snow storm Howard County received in early January. Kokomo Athletic Director Jason Snyder even looked outside of the box to secure a Senior Night competitor for the Wildkats. After Tipton canceled a game at Memorial Gym last week due to its no-school-means-no-sports-that-night rule, Kokomo found itself without a way to honor its graduating male senior class. The Lady Wildkats also lost Senior Night, but were honored before a boys game. Snyder made several calls to athletic directors around the state and finally found a team willing to travel to Memorial Gymnasium. 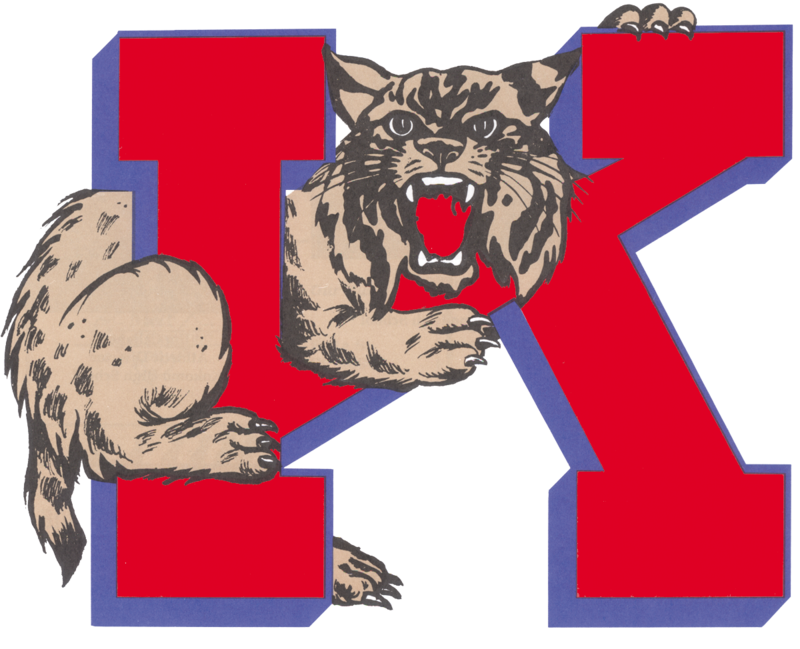 In its 2,603rd all-time game over the course of 111 basketball seasons, the Wildkats will play a first-time opponent as Class 3A No. 2-ranked Thea Bowman Leadership Academy (15-3) from Gary pays the historic gym a visit. Bowman is one of the newer schools in Indiana, having opened its doors in 2003. It played its first basketball season in 2007-2008, finishing 7-7. The following year it won a sectional and captured the schools first state championship with a 1A title in 2010. They reached the state championship game again in 2012, losing the 2A title game. The Eagles and head coach Marvin Rea grabbed its second state championship last year. Now, having moved up to Class 3A due to the IHSAA Success Factor, Bowman is in the hunt for its third state title – with each coming in a different class. Thus, Memorial Gymnasium should be rocking for Senior Night as the up-and-coming defending 2A state champion Bowman Academy battles the established Kokomo Wildkats, which holds the IHSAA record for most sectional titles with 73. It will be new versus old, private school versus public school on Feb. 27 at the historic gym on the corner of Apperson and Superior – it will be THE place to be if you are a basketball fan. Then, one week later, the Wildkats are hosting the Class 4A Sectional 7 and are in prime position for a second must-see game – Tayler Persons versus James Blackmon Jr. If Marion (15-4) gets past Logansport (10-6) in its sectional opener, the Giants and Kats would pit themselves in a rematch of a Dec. 20 North Central Conference game at Mem Gym in which Marion won 75-51. Blackmon, an Indiana recruit, scorched the Kats for 37 points on 12-17 shooting (9 of 9 inside the arc) and nine rebounds. But Kokomo did not have the services of Indiana All-Star candidate Persons, a Northern Kentucky recruit. With Persons back from knee surgery, Kokomo fans should get to see the match-up of the year and a second can’t-miss game in eight days at the Home of the Wildkats. You might want to get to the gym early for this one. Irony No. 1: Kokomo battles Bowman Academy Thursday night in a game that was originally supposed to be Kokomo versus Tipton. Ironically, Bowman Academy has knocked Tipton out of the Final Four the last two seasons, and now replaces the Blue Devils on the Kokomo schedule due to the winter weather. Irony No. 2: No. 6 Western battles No. 11 Norwell in the North Class 3A Semi-State at Wabash while No. 14 Indianapolis Chatard (21-5) clashes with No. 2 Evansville Mater Dei (25-1) in the South Semi-State at Bedford. If Western and Mater Dei hold its rankings and win, they would play for the Class 3A state championship. Flash back one year and it was Mater Dei who defeated our Eastern Lady Comets in the Class 2A state championship game. Could two-time defending 2A state champion Mater Dei have to face a Howard County team two years in a row for a state title after moving up a class due to the IHSAA Success Factor?